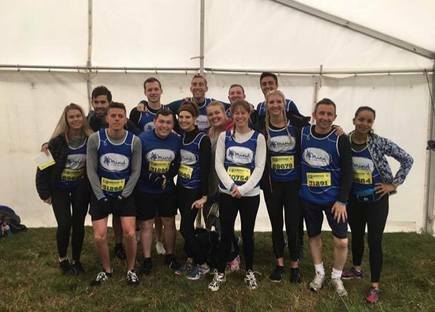 This summer, Becky joined her SwimStars team to brave the wet, the wind and the cold to take part in Rough Runner - raising a whopping £1,600 for the mental health charity, Mind. Go team! Every year, one in four of us will experience a mental health problem, and Mind aims to empower anyone who may experience mental health issues by providing advice and support. They also carry out extensive campaigns to raise awareness, improve services and promote understanding. Mental health is especially close to our hearts at SwimStars, as something that can be considerably improved by swimming. Not only are there clear links between physical fitness and mental health, studies have also found that for children, joining swimming lessons can drastically develop their social skills. Lessons are a great opportunity for children to have fun and make new friends on a level playing field away from the school yard, ultimately building their confidence and self-esteem. Our Becky Values also encourage this, rewarding swimmers for things such as Friendship, Kindness and Respect during lessons. The work Mind do is hugely important and we’re so proud to have supported them. A big well done to everyone who took part and donated to such a worthy cause!